What If You Are at Fault for an Automobile Accident? As many residents know, Florida is a no-fault car insurance state. Generally, this means that the operator of an automobile involved in an accident is expected to look towards his/her own automobile insurance policy for reimbursement for injuries, and not to the operator of the other automobile, regardless of who is at fault. However, what may be less known is that the no-fault process only permits a recovery of specified amount. In situations where the cost for recovery exceeds this amount, an injured driver may seek reimbursement from the other driver. Retaining the services of an attorney experienced in personal injury law, including automobile accidents, can be crucial to exploring and recovering costs that exceed insurance coverage limits. Recently, in Pine Hills, a school bus collided with another vehicle, causing the school bus to veer off the road, through a fence and into a private swimming pool. While all persons were able to escape the accident with little harm, investigators are looking into the accident to determine which operator is at fault, or whether fault lies with both operators. A discussion of the ramifications of being deemed at fault for an automobile accident, and how to challenge this determination, will follow below. As mentioned above, in some cases, the operator of an automobile involved in an accident may seek reimbursement for injuries from the operator of another automobile. 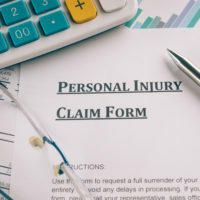 In all cases related to personal injury liability, Florida has a rule about the effect of dividing fault between the plaintiff and defendant, called comparative negligence theory. Under this rule, an automobile operator may still able to recover for an injury, even if he/she were partly at-fault in the accident. However, the amount of potential recovery by the automobile operator may be reduced by the amount attributed to his/her fault. As an example, assume there was a car accident which caused $10000 in damages to an individual. If a jury determines that the injured party was 25% negligent in the cause of the accident, while the individual may recover from the other operator, his/her recovery will be limited to only 75% of the damages. Thus, if the jury were to award the full $10000 in damages, the plaintiff’s award would be reduced to $7500. Physical Evidence. Physical evidence includes information about the location and time of the accident, such as road conditions, time of day and/or natural hazards. Most often presented in the forms of photographs or other testimony, physical evidence may also include the presence of skid marks and damage to the automobiles. In addition, surveillance photographs or videos are a big help, especially if they can show the actual moment of impact. Police Reports. Police reports contain a lot of information, including a statement of all the parties involved, which can help an individual combat a determination of fault. This information can also include accident reconstruction data, information that is very persuasive in explaining why the accident happened and who caused it. Witness Information. This is one of the more important and effective examples of evidence, as testimony from actual and impartial witnesses are given tremendous weight in a court. If you were involved in an automobile accident, and you may share some fault in the collision, contact the experienced personal injury attorneys at Pita Weber Del Prado to learn your options. We understand the ramifications of being deemed at fault in an automobile accident, and also know what can and must be done to combat such a determination. We will analyze your situation to determine the best possible avenue of challenging the determination of fault against you, and will work to get you the compensation you deserve. Contact our Miami office today for an initial consultation.